Pottering around amongst my plants the next day, these words floated into memory. There’s something about farming, or gardening, that stills the soul and creates space for reflection. Not as an intentional analysis, nor even as a conscious introspection, but as a naturally unwinding rumination. As one trims dead leaves, uproots weeds, plants seed, and trains young creepers to go places, the mind ebbs and flows gently over conversations, ideas, and dreams. In the reflection, and in the doing, is happiness for many a grower, as she nurtures life in her hands, and holds hope of a healthy plant in every seed she sows. 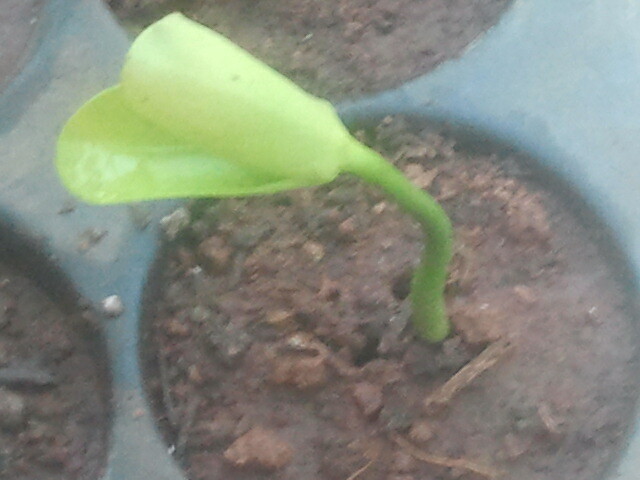 …as it opens up into a young sapling. 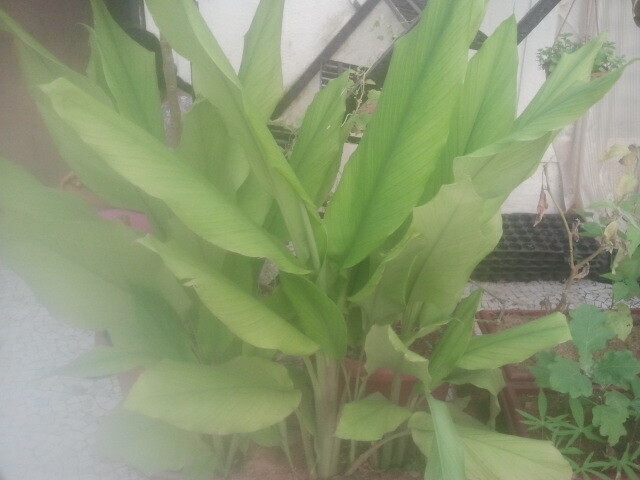 One of my favorite plants to grow is turmeric/haldi. It’s wholesome, hardy, lush and downright gorgeous. 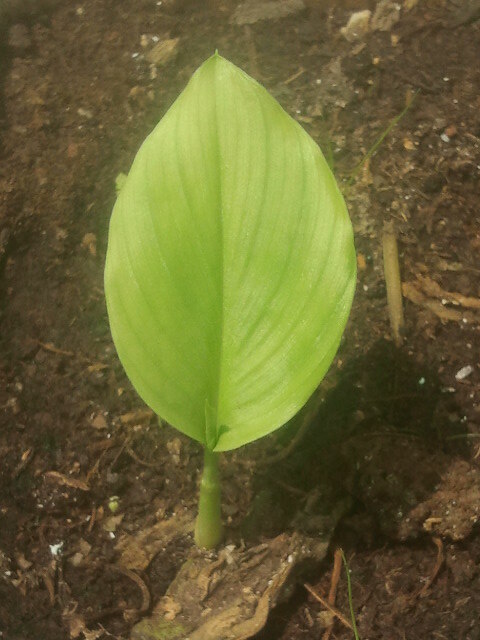 Here are some pix that capture the great promise and energy of the turmeric plant. 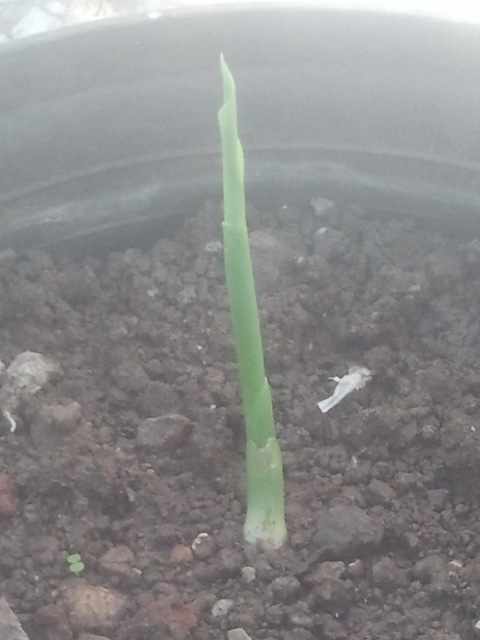 ….and in a few months grows into a lush exuberance of tropical foliage! 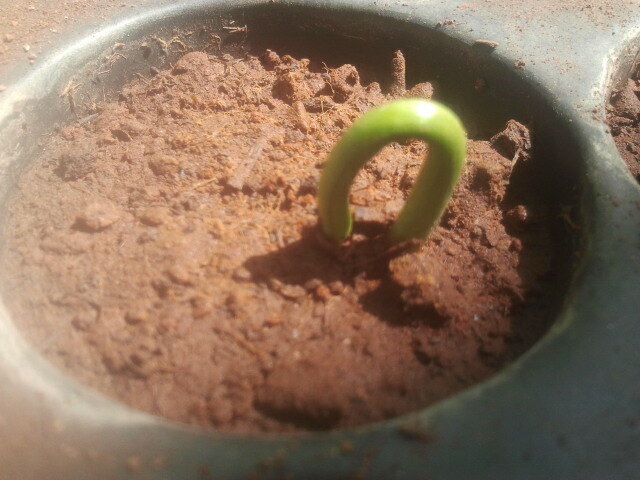 Until the next time, happy and hopeful gardening! This entry was posted in agriculture, city, Container, Farming, flower, Gardening, green, Hobby, lifestyle, Organic, root, seeds, Sustainable, Terrace, Tropical, urban and tagged agri, agriculture, agritech, consult, eco, ecotech, farming, garden, green, grow own food, growing, herbs, hobby, kitchen garden, lifestyle, mumbai, organic, plants, project, sustainable, urban on October 18, 2013 by Mandy.